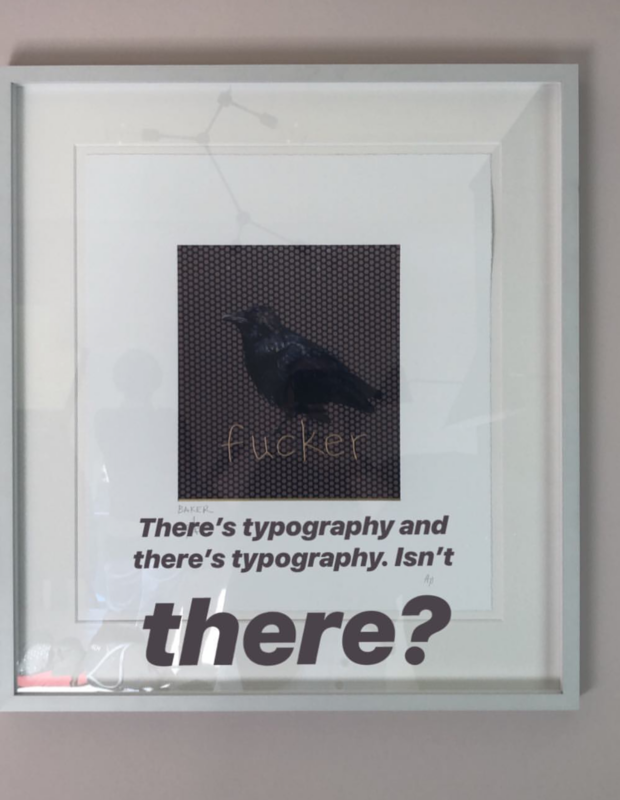 For this latest episode of The Great Indoors Podcast, we recorded at Kate’s house in North London, where I discovered some Typography artwork, can you believe it! She was so busted! 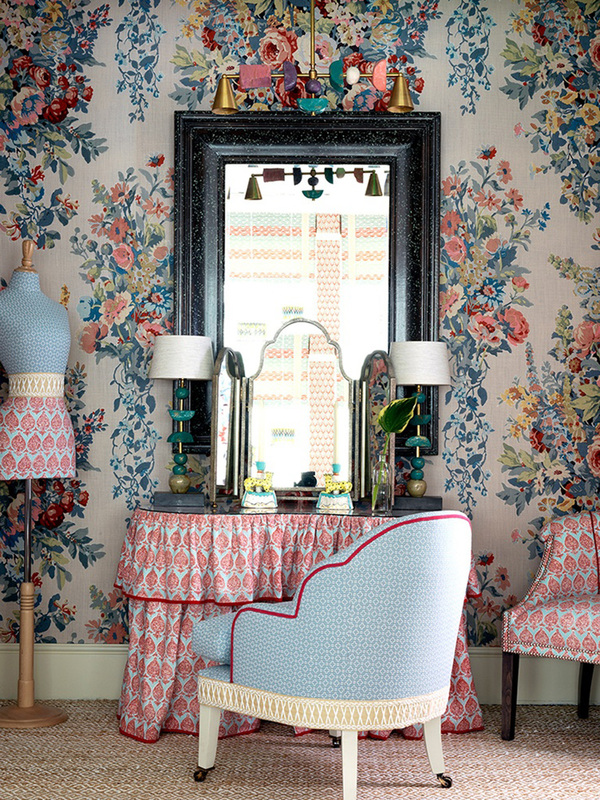 When I’d got over ribbing her for that we got down to some juicy debate over the trends we saw at Maison et Objet, how to plan a dressing room and how to make the most of your small spaces. If you haven’t caught up yet, you can do so here. Here are a few of the key trends that we discussed having seen them at our recent visit to Maison & Objet trade show in Paris in January. Warm tones of turmeric yellow, maroon and putty pink was a strong colour story. This is a problem area for a lot of people, wanting to create a feeling of more space in their small apartments or small rooms within their home. First up listen to episode 1 of series 2 and get rid of your having too much stuff. If you have a tendency to hoard then you need to learn to let go! Create some negative space in a room, for example, pull an armchair away from the wall rather than having everything pushed up against the walls. Aim to see as much floor space as possible by choosing furniture like beds and sofas that are raised on legs. Buy furniture that is the right proportion to the room. 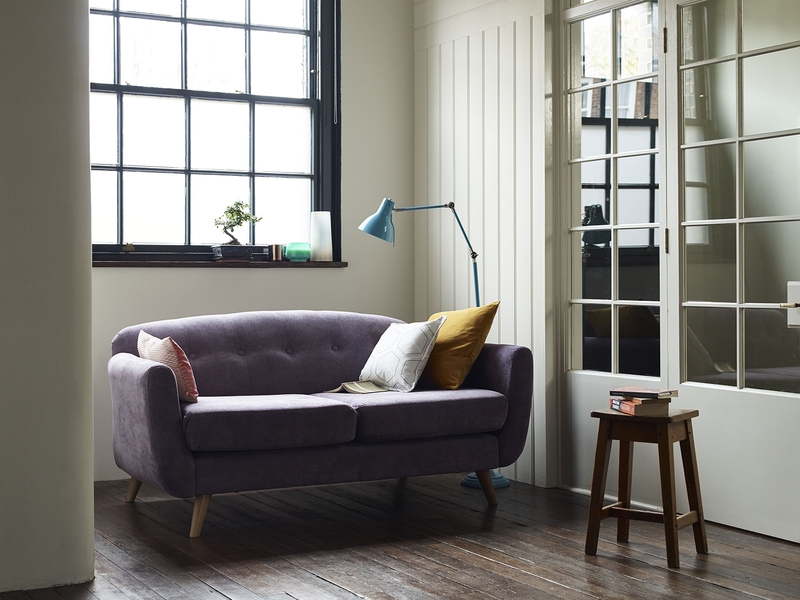 Avoid oversized bulky sofas and armchairs in small living rooms. The Dfs Capsule collection is designed specifically for small living spaces. Furniture has slender arms, space-saving proportions and can come apart for easy access. 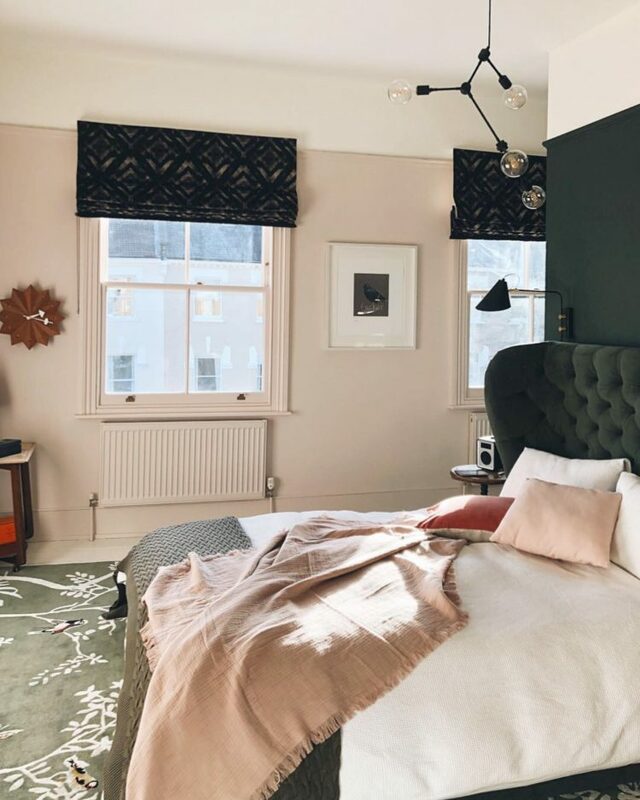 In terms of styling, avoid a cluttered look and go for one statement piece instead, like a large piece of artwork in favour of lots of small pictures. Mirrors and glossy painted surfaces help to bounce the light around. Decorate in recessive colours to help make a room appear larger. 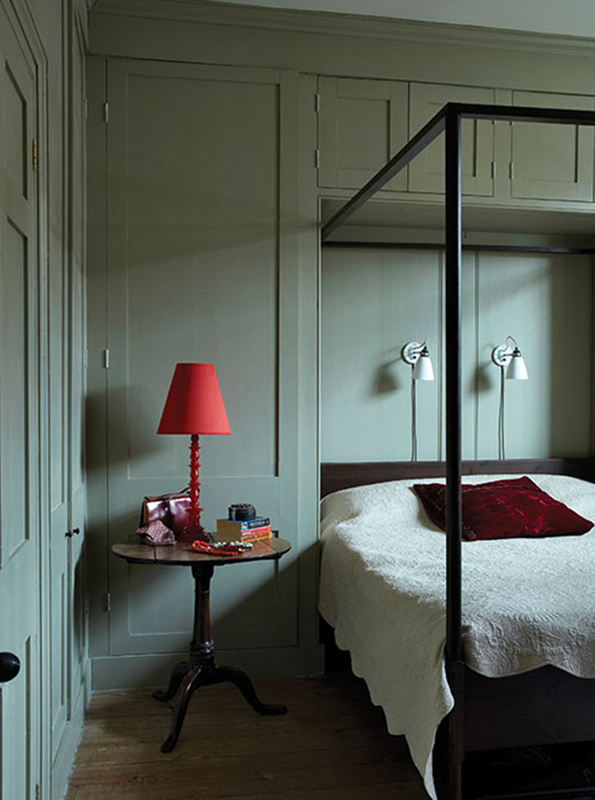 A small room looks larger if you paint out all the wood work and fitted storage in the same or similar colour.Walls painted French grey by Farrow and Ball. Homogenise the space with paint. Paint skirtings, doors and fitted joinery in the wall colour to eliminate cluttering up the space visually. 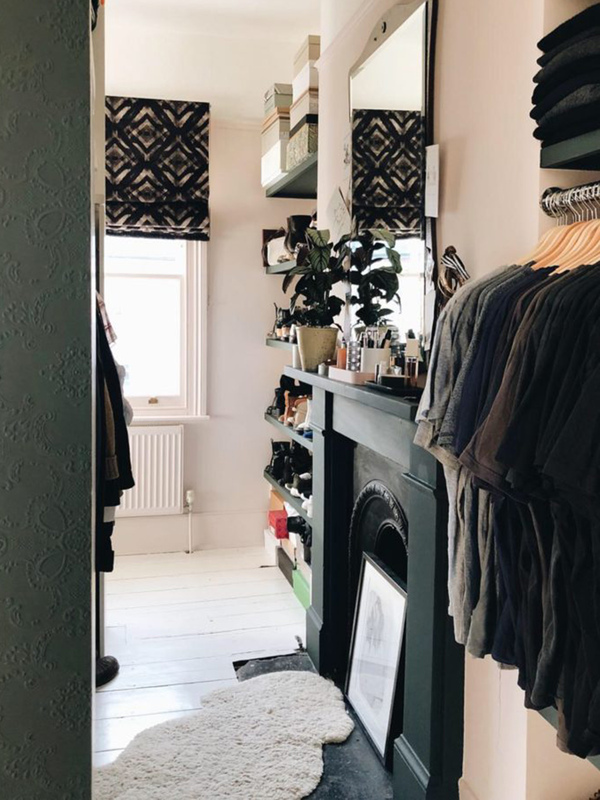 Kates’ bedroom has a dividing wall at the head of the bed which has allowed her to have a walk in style wardrobe behind it. The Ikea PAX range is an affordable way to get a fitted wardrobe system. Then customise or make your own door fronts. You can add wood veneer wallpaper by Arte for a luxury marquetry look. As ever, thank you to Dfs for sponsoring this podcast and to Kate Taylor our producer. And thank you to my blog editor Luisa Ferdenzi for helping me compile these podcast notes. You can listen to The Great Indoors on any podcast platform including appl podcasts. If you find yourself there, please do give us a rate and review, which helps us get a boost in the rating and reach more listeners. The post The Great Indoors Podcast S2 Episode 3 Show Notes appeared first on Sophie Robinson.